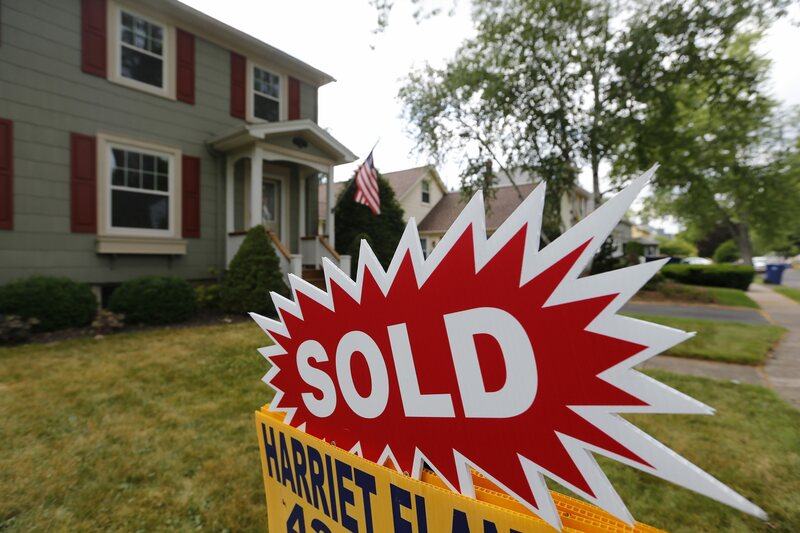 Following are real estate transactions over $5,000 as listed in records of the Erie County clerk’s office for the week ending March 1. • 1594 Lindan Drive, Patricia A. Richardson; Genevieve M. Schmidt; Larry W. Schmidt; Mary Ellen Werner to Anne Davis, $135,000. • 235 Via Foresta Lane, Melissa K. Wikle; Merritt L. Wikle III to Pka Singh Multani, $596,000. • 131 Nicole Court, Avalon Meadows LLC to Derek Tan, $570,000. • 3 Yolanda Court, Charles B. Kushner; Sharon L. Kushner to Gino A. Pari; Graziela B. Rondon-Pari, $389,000. • 38 Emerald Trail, Mtglq Investors Lp to Muddusir M. Ayaz, $385,000. • 347 Randwood Drive, Donna Marie Santoro; Cara Santoro-Rasnick to Sarah Gigante; Vito Gigante, $325,000. • 57 Oakview Drive, Donna M. Roll to John Luke Pryor; Riana Rose Pryor, $281,500. • 140 Foxcroft Lane, Sarah D. Gigante; Vito Gigante to James Doane; Linda Doane, $260,000. • 60 Rosewood Drive, Barbara Hammerl; Barbara M. Hammerl to Linda Hammerl, $245,000. • 3200 Millersport Hwy, Paul Tagliarino to Jason Schwock, $187,500. • 22 Tomcyn Drive, Gary James Dinezza; Gregory J. Dinezza Jr.; Carol Schulte to Jon R. Kemp; Judith M. Kemp, $180,000. • 335 Ayer Road, Peter C. Coppola to Jeffrey M. Papia; Maria T. Papia, $170,000. • 560 Grover Cleveland Hwy, Gloria M. Beilewech Tr. to Onick T. Squires, $147,500. • 305 Charlesgate Circle, John M. Boser to Johanna Oreskovic, $143,000. • 316 Fairways Boulevard, Loris M Willert Revocable Living Trust 122099 Tr ( The) to Michelle E. Willert, $140,000. • 80 Guilford Lane Unit F, Harasymowycz Mary Ann Tr; Mary Ann Harasymowycz Revocable Trust 062414 Tr to Fatos I. Gashi; Genciana Gashi, $139,900. • 99 Argyle Ave., Jaclyn Frisbie to Gerald K. Thomas II, $120,000. • 2070 Youngs Road, Stonebridge Estates LLC to Nvr dba; Ryan Homes of New York, $104,000. • 48 Tennyson Road, 7460 Transut Road LLC to Lithia Real Estate, $89,000. • 38 Meadow Lea Drive, Patrick J. Zagon to James Roberts, $80,000. • 559 Niagara Falls Boulevard, Gsamp Trust 2006-He7 Mortgage Pass-Through Certificates Series 2006-He7 Tr; US Bank NA Tr to Properties Plus LLC, $63,125. • 1 Pleasant View Ave., James M. Hatfield; Emily L. Koener to Joan Muscato, $60,000. • 685 Main St., Roux II LLC to 687 Main St LLC, $800,000. • Vl Emery Road, Beth Arnold; Philip Arnold to Ann M. English; Kevin J. English, $125,000. • 9506 State Road, Ronald F. Benn to Bo Tucker Properties, $295,000. • 101 Oval St., Joan M. Schumer to Arthur M. Fuerst; Diane Fuerst, $285,000. • 72 Oakland, Scattered Properties LLC to Annmarie L. Maxwell, $825,000. • 714 Northland, Well Worth Products to 714 Northland LLC, $425,000. • 757 Ferry East, Daniel Oconnor; 757 East Ferry to Thomas H. Smith; Danahy Property LLC, $400,000. • 172 Rachel Vincent Way, Marrano/marc Equity Corporation to Deborah Ann Pelech; Thomas Hans Pelech, $380,900. • 40 Dingens St., David Zakroczemski to 107 Thielman Drive LLC, $350,000. • 786 Auburn Ave., Judith L. Danforth; Judith W. Danforth to Elizabeth B. Aszkler; Robert M. Aszkler, $350,000. • 490 Niagara, Ga47 Development LLC to Olivia T. Abbate, $275,000. • 332 Commonwealth Ave., Karen A. Keller to Alexis L. David; Vincent Leclerc, $269,900. • 161 Saranac Ave., Jon Palaszynski-Mellott to Joseph D. Martin, $267,800. • 233 #17 Richmond, Kenneth H. Green; Irene Greene to Scott S. Allen Jr., $253,000. • 47 Blantyre, Joseph A. Granata; Cynthia W. Thomason to Andrew Berdych; Jennifer Hicks, $234,000. • 460 Prospect, Gamil S. Alabeli to Kevin Dolph; Brendan J. Tadler, $232,780. • 8 Union Place, Justin Hoelzle; Tammy Kublas-Hoelzle to Melissa Grace Monahan, $207,000. • 1059 Abbott, Michael Schuta; Theresa Schuta to Kathleen C. Schuta; Jonathan M. Whiteside, $200,000. • 1725 Amherst St., Ryan Wiley to Harry E. Springer IV, $188,490. • 673 Parkside, Mtglq Investors Lp to Michael Defelice, $182,500. • 102 Abbott, Belinda Borrero to Francesco Lliguicota, $160,000. • 23 Custer, Buffalo Real Estate Investors LLC to Christopher R. Wilkinson; Kelly L. Wilkinson, $150,000. • 770 Ferry West Unit 33b, Robert Krieter to Terrence Robert Oconnor, $130,000. • 195 Starin, Ahmad Ansar; Bradley J. Stamm to Dag Group LLC, $128,800. • 2431 South Park Ave., 1093 Group LLC to Scc Properties Inc, $115,000. • 299 Ogden North, Charlene Cousineau; Charlene I. Cousineau; Henry A. Cousineau to Darren L. Smith; Laura J. Smith, $103,000. • 77 Elmer Ave., Nathaniel T. Rogers to Maimuna Akter, $95,000. • 487 Highgate, Lulix LLC to Atiqul Islam, $92,500. • 24 Leamington, Donald J. Herbert to Jeffrey D. Brown, $80,000. • 63 Dempster, Peninsula Wholesale Holdings Corp to Priscilla A. Baldwin, $77,500. • 333 East Delavan, La Madre LLC to Md Tariqul Islam, $77,000. • 303 Gold, Melissa Traina to Faysal Ahmed; Hazera Jalil, $75,000. • 225 Sprenger, Jv Property Holdings LLC to Green Bangla USA Corp, $70,000. • 147 Rounds, Bcg Nadlan LLC to Kamrun Nahar Quddus, $67,000. • 342 Minnesota, Njcc-Nys Erie County Community Restoration Fund LLC to Nasrin Shamima, $65,000. • 98 Hastings, Siam Properties LLC to Tamarra Turner, $64,900. • 449 Benzinger, Arlene F. Kinsley; Michael G. Kinsley Sr. to Latasha M. Tolbert, $63,600. • 405 Lasalle Ave., Rmac Trust Series 2016-Ctt Tr; US Bank NA Tr to Md Rofique Ullah, $60,100. • 313 Stockbridge Ave., David Walters to Mofassel Hossain, $56,000. • 92 Mulberry, Booker Ware; Glennie Ware to Fruit Belt Properties Group LLC, $55,000. • 130 Roma, Leslie Smith to Sheikh M. Salam, $50,000. • 317 North Park, Lisa T. Elibol to Andrew Murphy; Cynthia Murphy, $48,000. • 55 Elmer, Victor Lettieri to Taslima Akter; Parvin Alam, $47,000. • 35 Polish Place, Christine Papst; Elaine Urban; Mary Walker to Elaine Urban, $46,000. • 744 Amherst East, James Callens Jr. to Antonette M. Nevins, $45,000. • 41 Mayer Ave., Amy Lynn Counter; Erika Z. Mez; Erika Meza to Bffny Holdings LLC, $44,000. • 322 Gold, Dolores L. Fontana; Richard A. Fontana to Primal Solutions LLC, $43,500. • 105 Eller, Asset Management Holdings II LLC to Luthfun Naher Hassan; Shirajum Monira, $42,000. • 311 May, Buffalo Edge LLC to Lucky Saad Realty Corp, $41,500. • 389 Prospect Ave., William Gartz to Justin Anderson, $39,000. • 1775 South Park, 2 In The Hole LLC to Bennett Enterprises of Buffalo LLC, $37,000. • 29 Zelmer, Caleb Canazzi Ira Ben; Equity Trust Company Cust to Rayhan Islam, $36,500. • 31 Parkview, Adelheid C. Gilbert; Christina Shine to Rsr Homes LLC, $36,000. • 333 Parkdale, Michael A. Seaman; City of Buffalo to 52 Consulting Inc, $34,000. • 223 Wyoming, Shirbeen Charles to Zevi LLC, $32,000. • 87 Sidney, Mosammat Ara to Jannatul Hossain, $30,000. • 60 Sweeney, Norman Green to Nahida Afrin, $27,000. • 408 Monroe, Michael A. Seaman; City of Buffalo to Jita 312 Inc, $27,000. • 34 Wende, Tasnim Ara to Mujibun Nesa, $25,000. • 83 Sanders Road, Satnam S. Parhar; Parminderjit Parmar to Robert Johnson, $18,000. • 652 Walden, Michael A. Seaman; City of Buffalo to Buffalo Islamic Cultural Center Inc, $11,000. • 56 Lawrence, City of Buffalo to Habitat For Humanity/buffalo Inc, $7,500. • 10 Countryside Lane, Carol Ann Lesniowski to Timothy Boldt, $268,750. • 2753 Union Road, Nancy P. Santangelo; Ralph Santangelo to Thi Thi Bui; Sang Nhat Vong, $245,000. • 35 Green Terrace, Vincent A. Bella to Kevin C. Marx, $155,000. • 229 Argus Drive, Kyle E. Doherty to Michael R. Silbak, $144,900. • 23 Nassau Lane, Maria V. Teluk; Roman Teluk to Pamela K. Park, $144,900. • 127 Elmwood Ave., Matthew R. Sanelli to Dylan M. Briley; Taylor R. Losel, $139,000. • 26 Lewan Drive, Anne Marie Sacilowski; Michael Louis Sacilowski; Thomas Leo Sacilowski to Jason Offerman; Danielle Ostrander, $137,500. • 64 West Melcourt Drive, David J. Schaub to Jeremy Allen Anderson, $135,900. • 861 Beach Road, Liana M. Reamsnyder; Paul A. Reamsnyder to Swtc Properties LLC, $129,000. • 121 Lackawanna Ave., Kristina M. Cirocco; Christian T. Subjeck to Benjamin P. Fiscus, $121,900. • 28 Sandra Drive, Linda Susan Kempa; Kathleen Ann Rumble to Mosfaqur Rahaman, $105,000. • 134 Parkedge Drive, Desiderio Lawrence J Esq; David J. Martin Jr. to Keybank NA, $84,966. • 73 Gierlach St., Jeremy T. Hall; Charlene M. Piechocki-Hall to Lawrence Mckay, $80,340. • 116 Beale Ave., Todd C. Gibson; Thomas V. Hagerty to Jack Jacobi, $77,100. • 43 Oehman Boulevard, Broad St. Funding Trust I to Wolcott Development LLC, $65,750. • 144 Eggert Road, Mark Terpin to Heather Ault, $63,000. • 226 Alaska St., Donna M. Daminski; Ronald Daminski to Richard Viggato, $53,900. • 226 Alaska St., Richard Viggato to Diana Hanna, $53,900. • 1396 Harlem Road, Sandra A. Jeziorski; Michael F. Sebastiano Jr. to David L. Musielak Jr., $47,500. • 9395 Hunting Valley Road, Latona C. Thomas to Ziao Liang; Minghui Zheng, $705,000. • 6329 Creekbend Court, Nicolas Deslauriers to Ian Abramsky; Marcy L. Abramsky, $440,000. • 6335 Jennifer Court, Daniel P. Topliffe Jr.; Susan M. Topliffe to Paul E. Gulde; Stacey M. Gulde, $375,000. • 10705 Keller Road, Alfred G. Davis; Jean W. Davis to Danielle M. Winzenried; Ryan A. Winzenried, $279,900. • 6279 Goodrich Road, Paul E. Gulde; Stacey M. Gulde to Thomas S. Mcgrath, $190,100. • 9405 Martin Road, Elizabeth A. Werner to Lsf8 Master Participation Trust Tr; US Bank Trust NA Tr, $121,640. • 2074 New Jerusalem Road, Jennifer L. Mumford to Max A. Melber, $191,000. • 7422 East Eden Road, Patricia A. Burrows to John Artmeier; Linda C. Artmeier; David A. Janker; Valerie L. Janker, $145,000. • 504 Jefferson Ave., Cr 2018 LLC to Michael Carroll, $20,000. • 49 Allen St., Esther M. Hendrix; Roy B. Hendrix to Cristian F. Garcia, $113,402. • 71 Castlewood Court, John W Stickl Construction Co Inc to Mary N. Bernosky-Rak; Ronald P. Rak, $348,750. • 99 Riverdale Court, Miki Ahl to Nancie C. Hollenbeck; Steven J. Puleo, $300,000. • 2332 Stony Point Road, Melissa R. Yanicki; Walter F. Yanicki to Nofiele-Kawo Young Regie Prisca, $225,000. • 1812 Bedell Road, Michael W. Wagner; Michael Wayne Wagner to Paul Robbins; Rosalie Sass, $199,900. • 85 Country Club Court, John W Stickl Construction Co Inc to Craig L. Walker; Marjorie J. Walker, $45,000. • 3235 South Lyth Road, Matthew Gregoire; Nora Gregoire to Andrea Vogel; Mark Vogel, $242,000. • 3373 Ashley Drive, Patricia Ann Cook; Robert L. Cook to Natasha Evtimov, $187,000. • 77 Raymond St., Patricia J. Herzing to Kaitlin Bager, $139,000. • 4888 Kennison Parkway, WNY Homeworks Inc to Richard J. Zaklikowski, $135,500. • 3738 Windover Drive, Craig M. Cwick to Robert Pericak; Sandra Pericak, $126,000. • 4638 Dorothy Place, Christopher M. Partridge; Mary A. Partridge to Benjamin Badagliacca; Jennifer Badagliacca, $125,000. • 4565 Marie Drive, Martha Dziedzic; Raymond J. Dziedzic to Parker Road Development Company Inc, $79,400. • 57 Pierce Ave., Park Place Securities Inc Asset-Backed Pass-Through Certificates Series 2005-Whq3 Tr; Wells Fargo Bank NA Tr to Craig Horstmann, $69,570. • Vacant land Marie Drive, Martha Dziedzic; Raymond J. Dziedzic to Parker Road Development Company Inc, $15,600. • 13790 Sanders Hl, James W. Marzolf; Marlene A. Marzolf to Devin A. Whiteman; Miranda N. Wurm, $350,000. • 13270 Parker Road, Gus Kalesse; Stefanie Kalesse to Daniel R. Bigaj; Danielle Stefanie Bigaj, $30,000. • 121 Ridge Road, Lackawanna Fds 715551 LLC to Lexco Inc, $1,826,555. • 1429 Electric Ave., Matthew E. Sikora to Kendal M. Cassatt; Nathan Edward Clark, $108,200. • 21 Beatrix Circle, Karen A. Chase to Weichert Workforce Mobility Inc, $385,000. • 21 Beatrix Circle, Weichert Workforce Mobility Inc to Jasdeep Kaur; Jaspreet Singh, $385,000. • 3 Peachtree Court, Laura L. Maslowski; Michael A. Maslowski to Nicholas Arcadi, $295,000. • 16 Old Orchard Cmn, John W. Scherer; Joyce A. Scherer to Vincent Bella, $220,000. • 25 Matthews Drive, Lisa Damore; Marc Damore; Mary Joan Damore; Thomas Damore to Gwendolyn Zyglis; Jordan Zyglis, $188,000. • 7 Hawthorne Trl, Alois A. Rynkowski; Barbara A. Rynkowski to Rigoberto Rodriguez, $147,500. • 126 Sawyer Ave., Keith W. Suffoletto; Rebecca S. Suffoletto to Tanya Coyle; Dennis R. Sekuterski, $109,000. • 3901 #68 Bowen Road, Robert J. Wyant to Jeanne M. Hastrich; William Hastrich, $70,000. • 26 Hidden Meadow Crossing, Hidden Meadow Lan LLC to Jimmie Joaquin, $69,000. • 57 Kelly Court, Robert D. Bulman to Bulman Family Trust 081016 Tr, $45,972. • 12512 Williston Road, Clifford J. Cunningham; Madeleine B. Cunningham to Donald C. Cunningham, $175,000. • 12974 Clinton St., Thomas J. Shriver Jr. to Beau Reibel; Mary Reibel, $110,000. • 384 Stonehenge Drive, Kevin Stablewski to Dean R. Mesi; Tina M. Mesi, $422,500. • 5729 Lake Ave., Dennis J. Kulczyk to Daniel T. Muscato; Joseph D. Muscato, $263,000. • 32 Sleepy Hollow Lane, Amy Dunn to Kathleen Quest Urtz, $220,000. • 128 Summit Ave., Susan M. Skudlarek to Jessica L. Cieslica; Joshua T. Cieslica, $135,960. • 27 Meadowlawn Road, Viola Kipler; Viola M. Kipler to Cortney Nugent, $93,000. • 36 Park Ave., Randy K. Graff to John P. Figueroa; Stephanie H. Figueroa, $143,000. • 188 Hinds St., Doris A. Stewart to Andrea Graf, $140,000. • 173 Canton St., Bcat 2015-13btt Tr; Christiana Trust Tr; Wilmington Savings Fund Society Fsb Tr dba to T Brothers Inc, $70,400. • 221 Crosby Ave., Lisa M. Azzarelli-Brown; Edward F. Brown to Kristen A. Sutton; Matthew K. Sutton, $241,000. • 510 Woodland Drive, Katie L. Carroll; Thomas M. Vivian to Timothy P. Downing Jr., $219,900. • 58 Belmont Ave., Susan M. Antos to Allison A. Leberer, $168,000. • 107 Sunset Terrace, Wenquan Liu to Victor J. Guerra, $160,000. • 413 Mcconkey Drive, Francis J. Mazierski to John A. Mcallister, $159,000. • 323 Knowlton Ave., Gore Laura L Hr; Anne E. Joynt; Michael Metlak; Michael J. Metlak; Steven M. Metlak; Metlak Steven M Hr to Bank of America NA, $152,518. • 471 Zimmerman Boulevard, Alison J. Martin; Patricia L. Stinson to Owen M. Mangan, $149,900. • 723 Moore Ave., David A. Peck; Margaret A. Peck to Jimmie Coble III, $147,300. • 389 Ashford Ave., Linda Sue Poczkalski to Robert Poczkalski, $140,000. • 94 Rockland Road, Drym Management LLC to Erin R. Jankowiak, $139,000. • 3360 Elmwood Ave., Jay Sedita to Jason T. Mcinerney, $132,950. • 354 Shepard Ave., Tika Dahal to Amber A. Reaume; Donald J. Slough, $130,000. • 142 Desmond Drive, Dawnna Musante Salamone to Hua Ki; Boi Ram Thang, $110,000. • 310 Tremont Ave., Sharon P. Burnett to Charles Sears, $83,000. • 131 Tremaine Ave., John&maragaret Brett Irrevocable Residence Trust 062614 Tr to Rhjr LLC, $60,000. • 197 Heritage Farm Road, Andrea Vogel; Mark S. Vogel to Danielle J. Mcbride; Richard D. Sroka, $230,000. • 138 North Ave., Timothy N. Foley; Timothy Foley; Jerome D. Schad to Lsf10 Master Participation Trust Tr; US Bank Trust NA Tr, $202,952. • 164 Edson St., Monica J. Dewolf; Randy Dewolf; Randy M. Dewolfe; Kim Kenna Paul; Monica Tomasello to HSBC Bank USA NA, $147,049. • 114 Century Drive, Laura E. Dealry to James M. Linser, $142,500. • 44 East Carriage Park, Charles F. Kropovitch; Pauline T. Kropovitch to Melissa A. James, $127,000. • 45 Florence Ave., Mary Catherine Beechler; David Richard Konstabel; Hans Alfred Konstabel; Joanna Marie Roman to Sarah Vanderhoff, $115,000. • 1060 Reserve Rd #2, Walter J. Krycia; Walter J. Krycia Jr. to Marcia Akrapovic; Zdravko Akrapovic, $55,000.